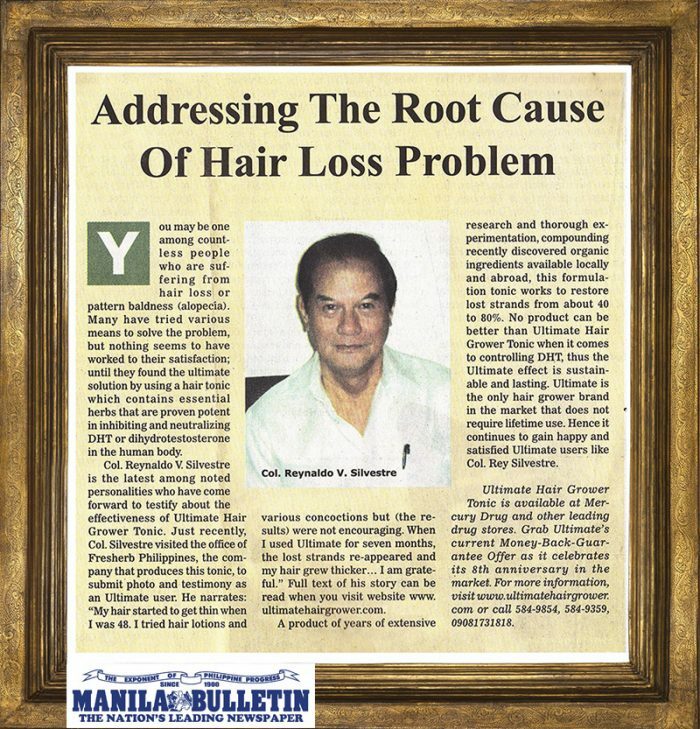 Happily, I was reminded of the product when I read the ULTIMATE ad in Philippine Daily Inquirer. So I disposed my toupee and bought and applied ULTIMATE again with consistency and faith. Surprisingly, I still find using ULTIMATE to be a rewarding experience. My hair started to grow again. It is promising and encouraging like before. And this time I am determined to finish the treatment – hopeful of more promising results in the months to come. I am grateful. 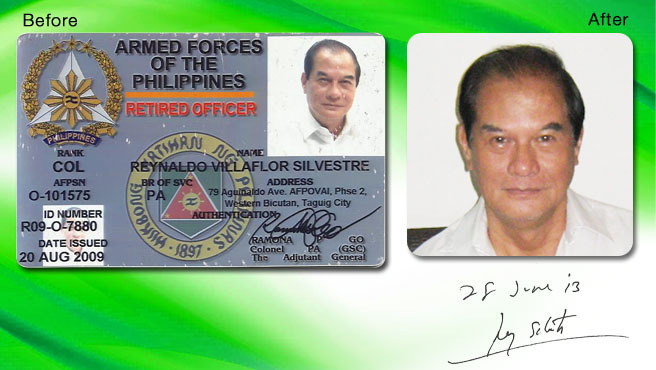 A bemedaled retired army officer and multi-awarded writer, belongs to Class 1968 of the Vanguard in UP Diliman, and was teaching political theory at UP Manila when called to active duty as first lieutenant in 1975. He was a former special assistant of TESDA.